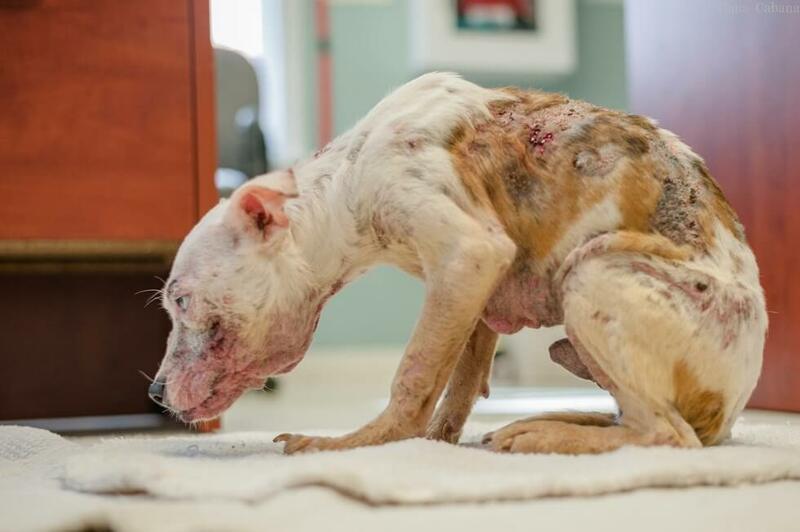 The City of Brockton Animal Control rescued this lonely dog with no collar, no microchip, and no name, and in terrible condition, from the streets. 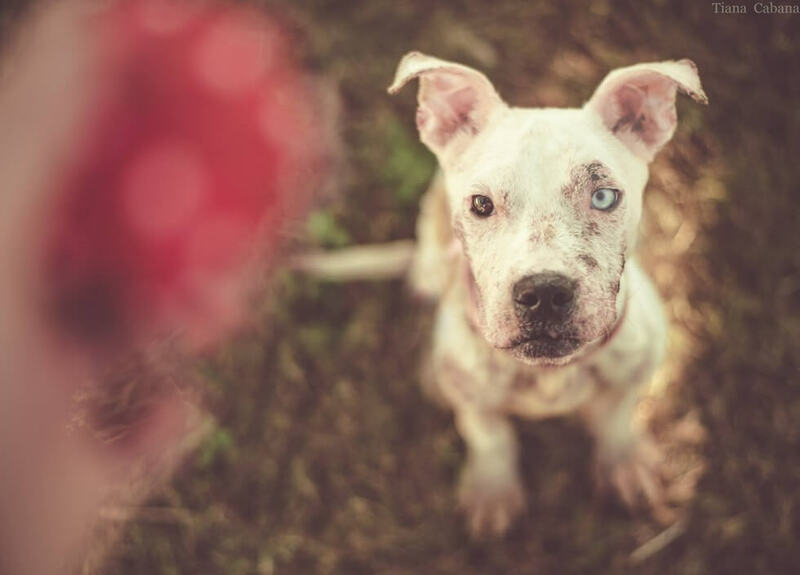 The dog was named, XO, and was one-year-old and weighed just 15 pounds. 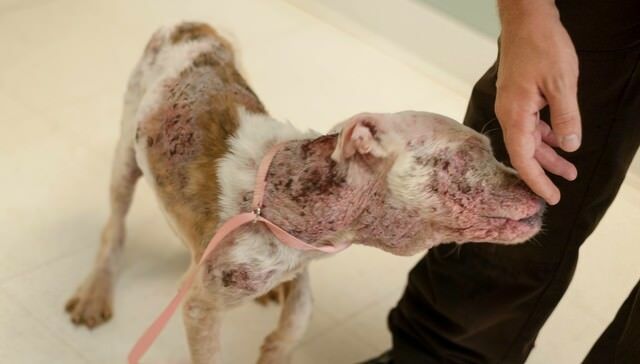 The veterinarian determined XO had a severe case of demodectic mange and a secondary skin infection. Despite all his health concerns, XO was a very happy puppy. He loved the attention he was getting from everyone and had a huge desire to play and be loved! The Second Chance Rescue of NYC hoped to find XO a foster home. 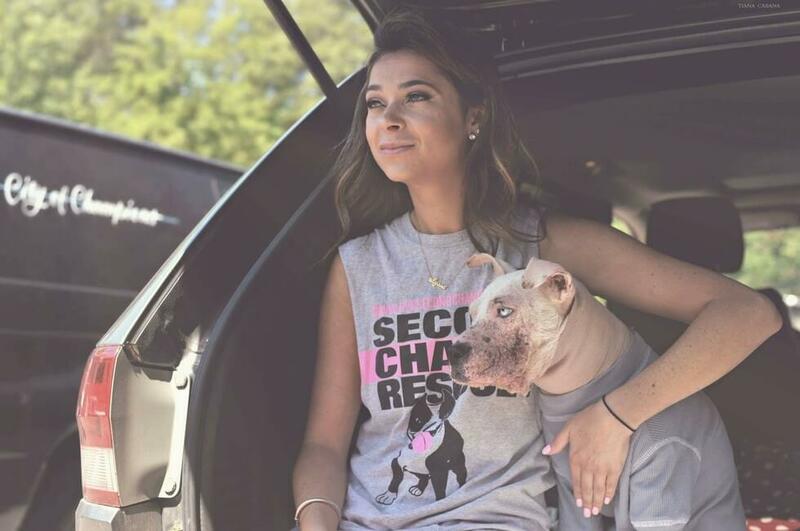 Alyssa Ellman from Second Chance Rescue NYC fell in love with XO and quickly agreed to take him. Ellman said XO is outgoing and loves to be around people. Ellman decided his name should be XO because all he wanted to do was give hugs and kisses! 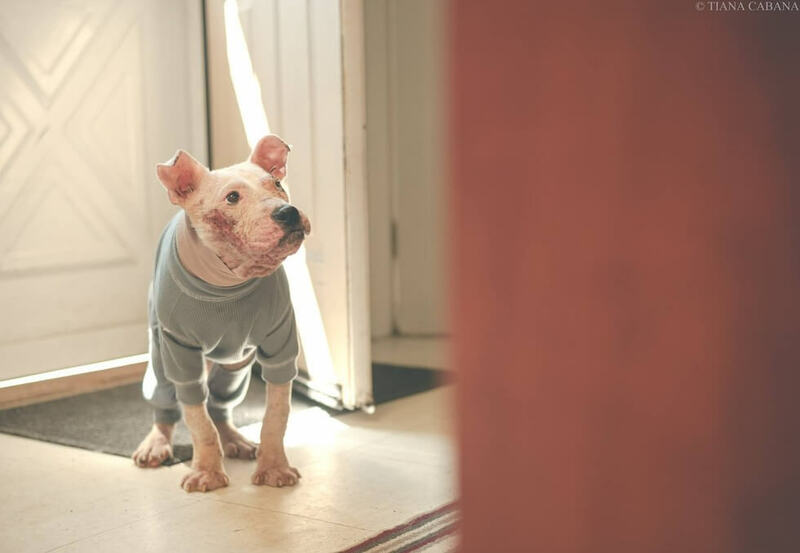 XO has already gained 10 pounds and is thriving at his foster home. 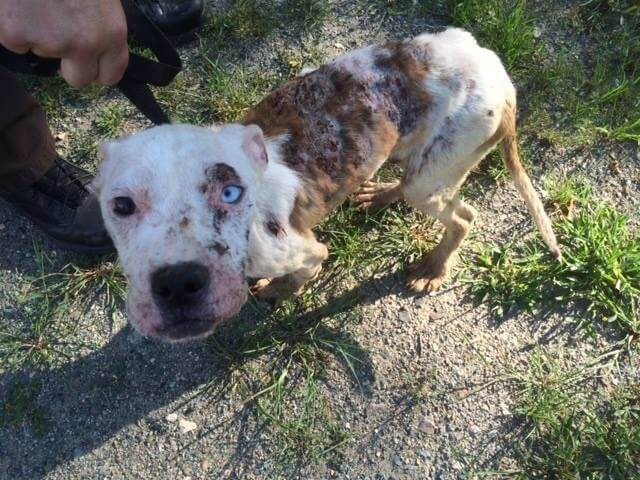 He still has a long road to go to recover from his mange and skin infection, but he is on the mend. 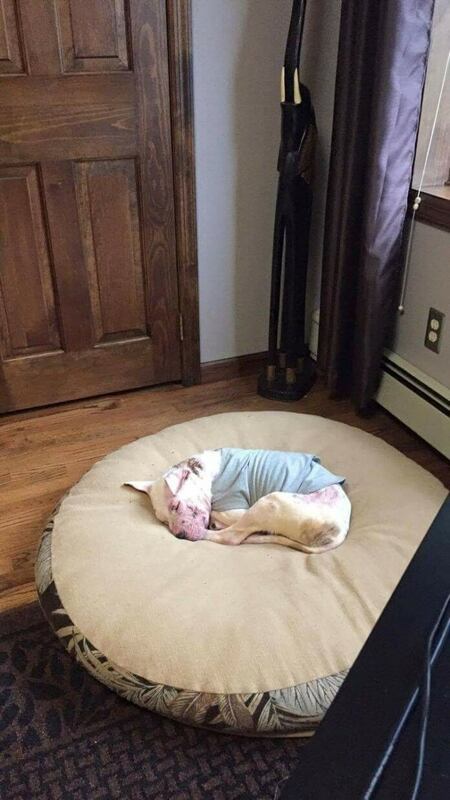 XO gets a bath every day, and hangs out in his foster mom’s office to sleep on a gigantic bed! Lucky boy!